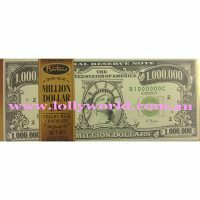 Million Dollar Bar is made by Bartons in America. A 57g bar wrapped in an American million dollar note it is creamy milk chocolate. Great as a gift or just eat for fun. 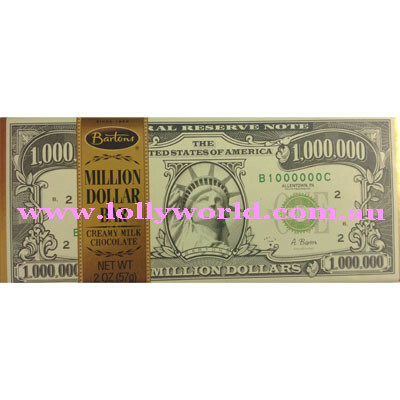 Million Dollar Bar is an American chocolate bar by Bartons. A 57g bar wrapped in an American million dollar note it is creamy milk chocolate. Great as a gift or just eat for fun.